The Sidi Men's T4 Air Carbon Composite Tri Shoe brings Sidi's renowned performance and durability to triathletes. A tongue-less synthetic upper is easy to get in and out of for fast transitions, and the vented Politex material provides excellent ventilation and facilitates post-swim drainage. 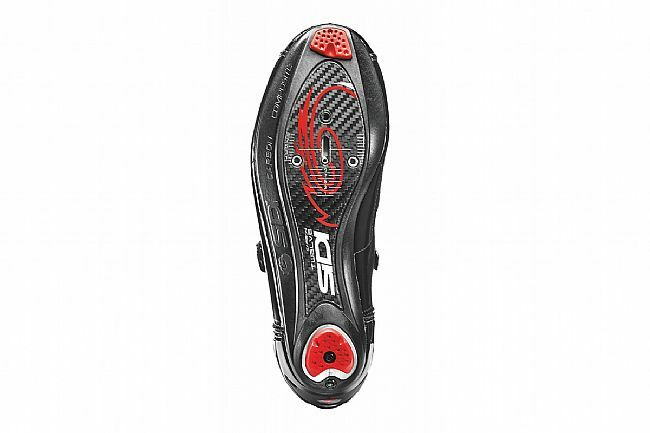 On the bottom, a Twelve Carbon Composite sole utilizes carbon-reinforced nylon to retain stiffness over time, and the Sidi Heel Cup keeps the foot planted in the prime position for optimizing power transfer. First, about Sidi. This is only my second pair of Sidi shoes because the first pair lasted 14 years. In fact, I really could have kept using them, but the velcro was coming apart on the straps. Yeah, I could have fixed that pretty easy enough, but I figured I would upgrade to a newer, stiffer pair (and I figured that 14 years was good enough for a pair of shoes). Sidi shoes are top-notch quality. They last a long long time, and they have replaceable parts that extend the life even further. If you're budget-oriented, the cost of ownership per year is really low if you factor in getting 10 years out of them. Now, for the shoes, these are for people who either 1) race in triathlons, or 2) like the simplicity of two velcro straps rather than 3 straps or boa laces or whatever other strap mechanisms are out there. Personally, I fall into both of those categories. I am a casual triathlete and I haven't been sold on needing all sorts of strapsratchets on my bike shoes. I only ever undo the top strap, so getting these things onoff is quick. The only bad thing I have to say about the shoes is that the straps are in opposing directions. I understand that it's supposed to help dial in an even fit across the foot, but I find it a tad annoying for times when I am adjusting both straps. The break-in period for me was about 150 miles, but now that I'm past that annoying phase, they fit just as well as my last pair. I like that these are super-vented because I can always add a neoprene sleevebooty if it gets too coldwet. Oh, and they're lightweight and stiff - just what you want in a pair of shoes. 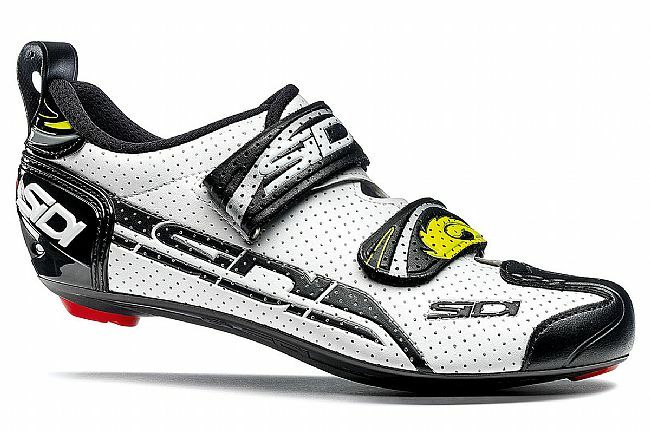 Best of the best shoe out there SIDI. The new meshed structure is extremely comfortable and flexible. Allows the adjustments for various foot width. I suggest buying on the large size to allow plenty of comfort for the toes and then tighten up the straps for an adequate fit.